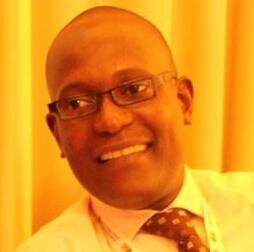 Hermann Aplogan is recognized as a solid business development professional, a global activist and catalyst leader for IT entrepreneurship and youth employment, has over thirteen years of experience working in those areas at national, regional and international scope, and is highly respected as a thoughtful and intelligent individual who looks for the win-win and comes highly recommended. He is passionate about Africa, design thinking and technology in a global and localized African context, and the potential smartly designed technologies have to solve African challenges. Hermann serves as an Eminent National Expert for WSA-World Summit Award, a global flagship initiative within the United Nations to identify the high quality Internet and Mobile content products and applications, and to promote the most outstanding achievements of creative worldwide in order to develop the Information Society, bridge digital divides and close the content gap. With this in mind, he is tirelessly working since 2004 with the International Center for New Media to empower Creators and Educators of high quality Internet and Mobile content products and applications from his country. Throughout the years, Hermann has gained experience in information technology, new media, entrepreneurship, lobbying and is also skilled in product design, market entry strategies, innovative business models inception, business collaborations (concept to implementation) across all sectors. Hermann is a graduate as Sales Manager, holds a Certificate in Leadership from the Cambridge College and EDC-Education Development Center (Massachusetts-U.S), a Certificate in Business Planning from Laval University (Quebec-Canada) and ITIN School of Management (Paris-France), and won the United Nations International Telecommunication Union’s Youth Education Scheme (YES) scholarship made possible by a generous contribution from Vodafone Group Services Limited (UK) for his Beninese university Master Degree in Marketing and Communication.